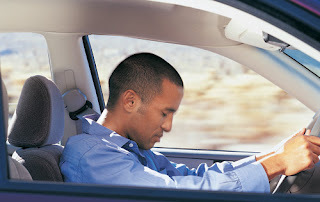 BP Community: Is you Executive Team Sleeping at the Wheel? Is you Executive Team Sleeping at the Wheel? Despite the ongoing meltdown in the financial sector it seems, from my discussions last week as we undertake the annual BP Group survey, that many senior managers, apparently responsible for processes and performance management are oblivious to the immediate dangers during this current crisis. Almost as if the global brand makes them immune from economic reality they put down the failings elsewhere to some sort of black magic. Please if that's the way you feel - wake up and smell the coffee! Never before has there been a time to step forward and guide your organization by accelerating cost reduction, improving service and preserving revenues the only way businesses can - through their business and performance management processes. 2. And if you are the CEO/CIO/COO then ask the question "How much can we reduce costs by focusing on successful outcomes?". If the answer is anything less than 30% in 12 months you know where the first cost cuts start! This is not the time for the faint hearts and excuses. The time for action is now.